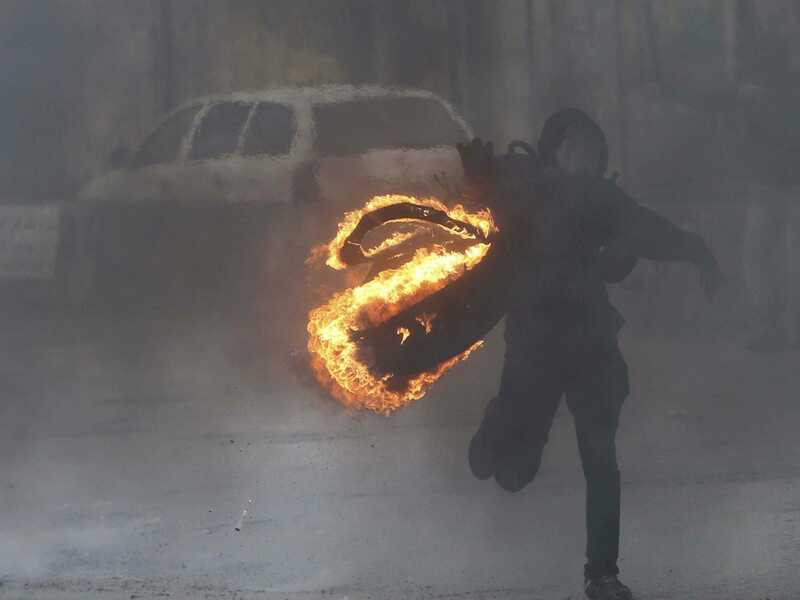 REUTERS/Abed Omar QusiniA masked Palestinian protester carries a burning tire during clashes with Israeli troops, following an anti-Israel demonstration over the entry restrictions to the al-Aqsa mosque, at Qalandia checkpoint near the West Bank city of Ramallah October 31, 2014. 1. Leaked documents show that Luxembourg allegedly helped more than 300 of the world’s largest corporations save millions in tax. 2. New malware called WireLurker is targeting iPhones and iPads on an unprecedented scale, a security firm told The New York Times, with Chinese users being most affected right now. 3. The UN leader in charge of fighting Ebola told the BBC that the organisation does not yet have the resources to beat the disease. 4. After Republicans regained control of the US Senate in midterm elections, President Obama said he would seek explicit authorisation from Congress to back the military campaign against the Islamic State in Iraq and Syria. 5. The European Central Bank announces its latest monetary policy decision today at 12:45 p.m. GMT. 6. New remains found at the eastern Ukraine crash site of downed Malaysia Airlines flight MH17 are being transferred to the Netherlands for further examination. 7. The Central Bank of Russia announced on Wednesday that it would be less aggressive in its efforts to prop up the rouble, which has been sliding at a faster pace in the last few weeks. 8. Tensions are escalating between Israeli police and Palestinians at the al-Aqsa mosque in Jerusalem, with Jordan urging the UN to step in to end Israeli “violations”. 9. In Tesla’s second quarter earnings call on Wednesday, CEO Elon Musk was adamant that production — not demand — is the company’s biggest issue. 10. Phil Rudd, the drummer for legendary rock band AC/DC, is being accused in New Zealand of trying to get two men killed. Are you pockets feeling a bit lighter this week? Maybe that’s because Starbucks just increased its prices by about 10 pence across the entire UK.